Your kids have spent the summer learning one of the most valuable life skills: how to swim. But like any skill, keeping at it is the only way towards mastery. This school year, do your little fish a favor and keep them enrolled in swimming lessons all year round. Here are just some of the reasons why sticking with swimming is a great choice. 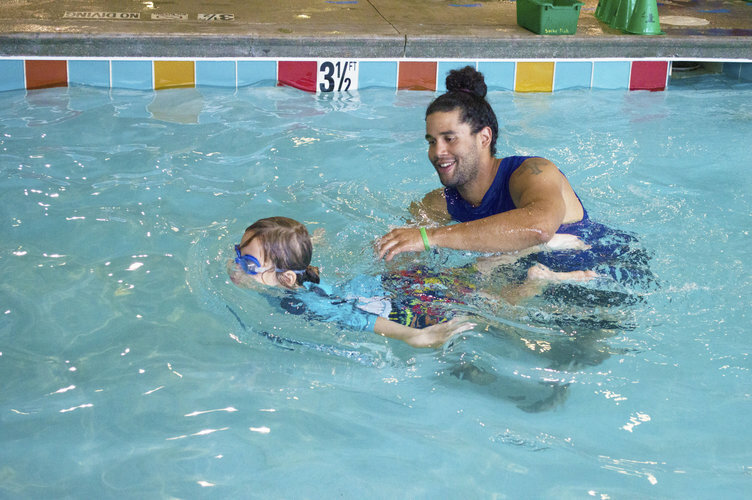 Year-round swimming lessons help retain swim skills and reinforce water safety principles. There’s a reason teachers assign summer reading. And as swim teachers, we’re totally on board with assigning non-summer swimming. That’s because keeping your kid engaged with swimming helps them retain the swimming skills they’ve learned – and the water safety tips that have been drilled into them. The water can be a hazard for young kids, so keeping these critical skills current is essential. Year-round swimming lessons can help in school. Did you know that swimming helps with cognitive development, memory, and learning potential? Exercise is a great way to boost healthy brain function, and swimming is one of our favorite ways to get fit! Keep your kids swimming year-round, and you may find that they concentrate better, retain more, and breeze through their tests and homework assignments. Year-round swimming lessons can help in other development. Swimming isn’t just about doing laps in the water. At Little Fishes Swim School, we teach so much more than that. Kids learn to persevere through the challenges of learning complex skills. They learn to push themselves, overcome fears, and try new things. They learn to take turns, work together, and cheer each other on. Year-round swim lessons are a great way to help your little fish develop confidence and excellent social and communication skills. Year-round swimming lessons give you flexibility. The summer months are by far our most popular, which means that you may have had to compromise on scheduling. Off-season swimming lessons let you take advantage of more availability – you can sign up for the sessions that suit your work schedule or that fit around your kids’ many extracurricular activities. Your kids will also benefit from smaller class sizes, which means more one-on-one attention for them! You’ve made a great start by enrolling in summer classes. Keep it up and enroll your little fish in year-round classes so that they can excel both at school and in the pool!